Paired with an amazing city that’s passionate about its music and hospitality you’re sure to have a fun, friendly, and inspiring weekend! Thank you to everyone who attended the Enchanted Palace at Music City Invitational whether it was to dance, spectate, or to help us produce such a magical weekend! As we reflect on this past MCI, we are amazed and humbled at what Music City Invitational has become. With 22 studios in attendance, over 4,000 single dances and the most amazing ballroom show Nashville has ever seen, we know that none of this would have been possible without all of you that participated. Jamey and I would like to extend a heartfelt thank you to our Chairman of Judges Tommy Ditommaso, our magnificent panel of Judges: Michael Chapman, Forrest Vance, JT Thomas, Lynn Kawamoto, Chantal Leclerc, James Peters, Ilya Reyzin, Amanda Reyzin, Tamsyn Devilliers, Robert Paul Maurice, and of course Arunas Bizokas and Katusha Demidova inclusive of their breathtaking show! Thank you to Pam Sparks DiTommaso, David Innis Hamilton, Gigi La Valle Foland, Leslie Whitesell, Cindy Johnson Bruce, Tony R. Prado, Lynda Ralston and the rest of the team for helping make everything seamless for our guests. 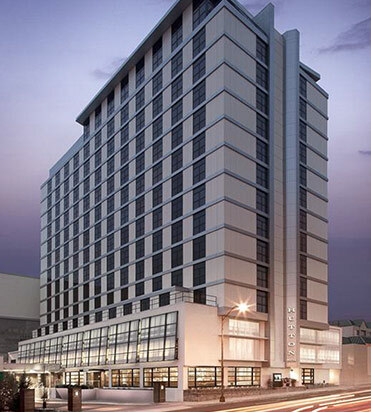 We are thrilled to announce that the Music City 2020 will be hosted again at the Hutton Hotel. The ballroom dancing competition experience is infused with enthusiasm, charm and top notch service. Paired with an amazing city that’s passionate about its music and hospitality you’re sure to have a fun, friendly, and inspiring weekend! After your first step inside the Hutton’s beautiful ballroom you will feel the refreshing camaraderie that has helped to develop the radiating family-like atmosphere amongst our competitors, professionals, spectators and officials. Arunas and Katusha started dancing together in October 2007. The couple immediately became an unstoppable force. 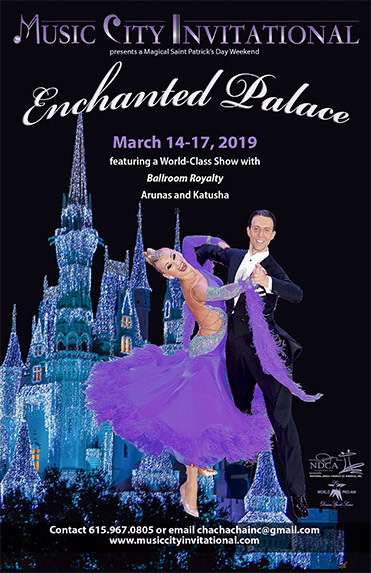 After only one month together Katusha and Arunas swept the Ohio Star Ball championships, and then two months later participated in the United Kingdom Open Championships where they placed second among all the best dancers in the world. For more information on the Arunas and Katusha visit their website. VIP Carriage Ride & Dinner or Enjoy your night on your own in Nashville! Be a part of the 2020 Music City Invitational. A premier Ballroom Dance Competition hosted in the heart of Music City. Come compete where Electric Enthusiasm meets 5-Star Service! Contact us for group and individual pricing options. Thank you so much for having Jerry and I at the 2018 Music City Invitational. What a spectacular event!!! We were so excited to be a part of such a fun, elegant and well organized event. We enjoyed being a part and hope to see you all very soon. Thank you again for keeping the ballroom spirit alive! Wow… Not only was your event a blast and fun to cover we enjoyed a wide range of extras that make Music City a must attend event… Top judges, great hotel and ballroom, best music man and a band, super MC, super show, energetic and talented competitors and pros and to top it off efficient and tight organizers. Thank you for inviting us to shoot your fabulous event. Stephen and photo team. Would like to thank National Dance Clubs and World Championship Productions for being such class acts, super supportive of our students and staff. You all look great on the floor! Thank you for showing what our business should be like and being amazing supporters of the art of dance! Thank you so much for having us! It was our true pleasure to share all the incredible energy you created this weekend! Please visit our vendor page if you are interested in becoming a MCI 2020 vendor.